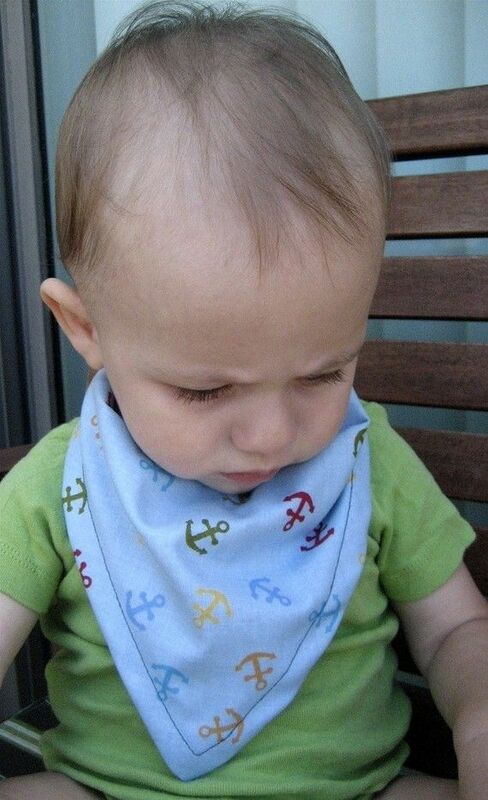 This bib is reversible, with velcro closure for easy on and off. 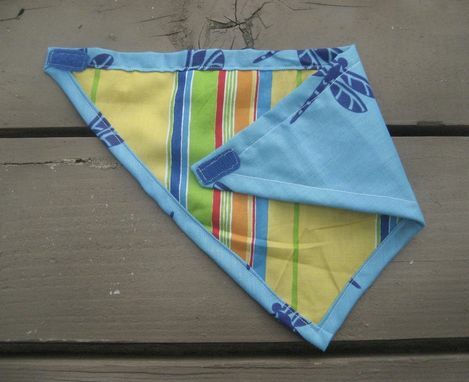 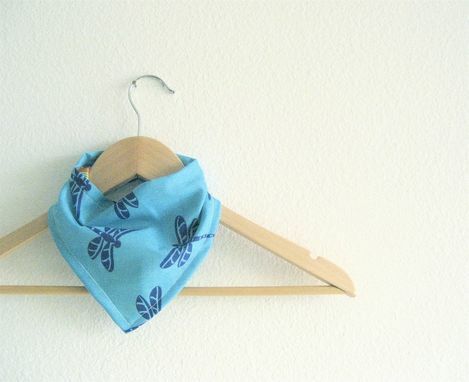 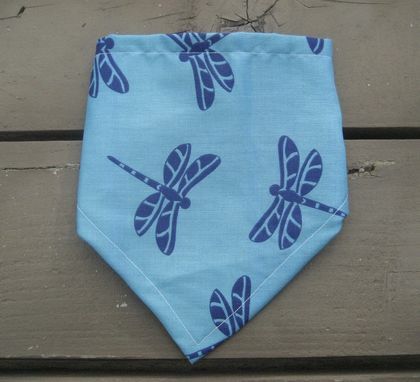 The front side is a blue dragonfly print, the reverse is a bright yellow stripe print. 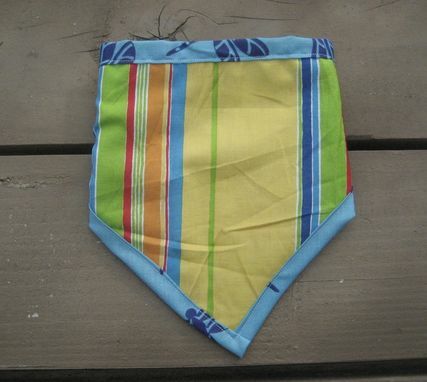 Both sides are 100 percent cotton cambric.